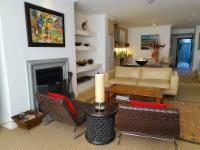 A 4 Star luxury 2 bedroom a.c. property with en-suite bathrooms, open plan living, dining & kitchen area. 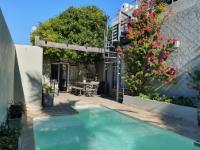 Rear terrace with seating and solar pool & spiral stairs to sun deck with views of City and Table Mountain. 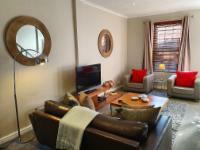 A luxury 2 bed air-conditioned property with 1 shared bathroom. Open plan living & dining area, kitchen opening onto walled fountain garden. Ground floor bedroom; upstairs shared bathroom & master bedroom with balcony. Positioned at the quieter end of Loader Street this 4 Star luxurious 3 a.c. bed property & 3 bathrooms has a garage. The grd floor dining -living rm opens out onto a patio with Harbour & City views. There is a roof deck with hot tub & views of Table Mt. A 4-star luxury two a.c. bed property. Stylish large living room plus kitchen/dining area that opens onto a private courtyard. 1st Floor bedrooms have shower bathrooms. Stairs lead to a great roof deck with city views and Signal Hill views. A great base to enjoy the city located between Loader and Waterkant Street, this is a compact luxury apartment with queen size bed, desk & wardrobes. Small dining area with basic kitchenette & ensuite shower bathroom. No outdoor area. A luxury air-conditioned penthouse apartment with 2 bedrooms, secure parking, private lift & amazing views. 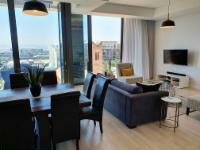 The open plan kitchen, dining and living area has a balcony and views of the harbour. 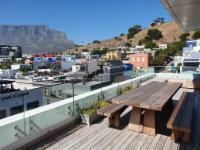 Bedroom 1 has its own terrace and Table Mountain views. A luxury air-conditioned penthouse apartment with 2 bedrooms, secure parking, private lift and amazing views. The open plan kitchen, dining and living area has a large terrace with spectacular views of Signal Hill, city, harbour and Table Mountain.